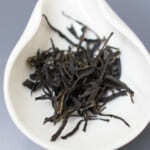 Many people may find that the taste and flavor of Japanese green tea do not last over many infusions. The first infusion is strong and flavorful, but on third or even the second infusion, most of Japanese green tea tastes light and plain. 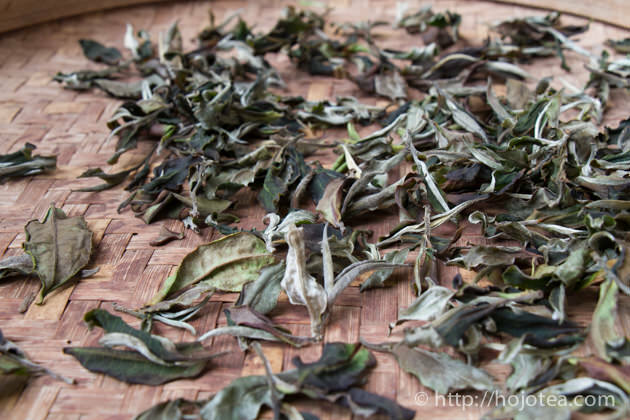 Regardless of the brewing style, it is mainly because of the tea leaf is rolled very tightly. Because of this, when tea is brewed the taste and flavor comes out very quickly. Many of us are accepting it since we think it is the nature of Japanese green tea. However, I started wondering why it is rolled so tightly. If Japanese tea is rolled lightly, it should be able to last many more infusions. In Japan, the shape of tea leaf is considered as one of the very important quality criteria. The tea leaf with needle shape is being highly appreciated. 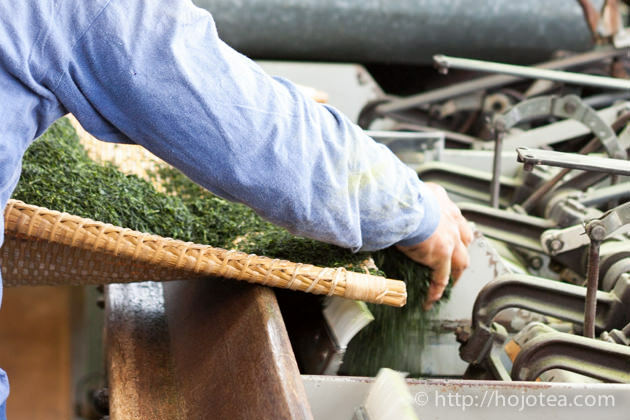 Some people appreciate hand-rolled Japanese green tea and willing to pay a high amount for it. Usually the slimmer the tea leaf, the higher the pressure is given. As a result, more cells have been macerated, and more substances are extracted during tea brewing. 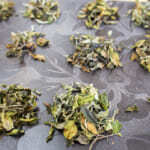 However, the rolling is not really affecting the base characteristic of green tea. The characteristic of green tea is set based on the steaming time and the extent of heat treatment in the subsequent process. Thus, the tighter rolling is purely meant for the elution of tea constituents. Withering >> Heating to stop fermentation >> Drying >> Moderate baking. 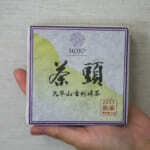 Despite the white tea is not rolled, we still enjoy the flavor and taste of white tea just like other teas. 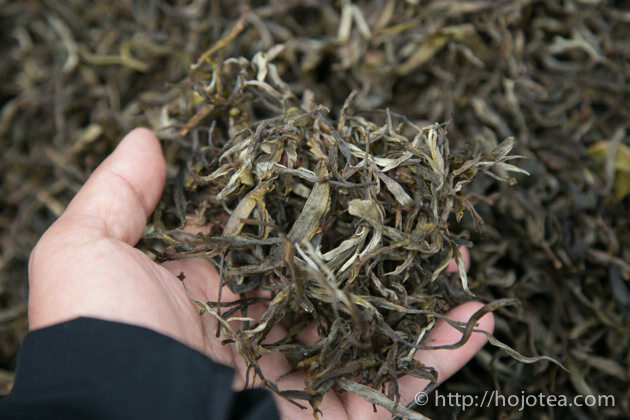 Thanks to no rolling process, the freshness of white tea lasts over many brewing. 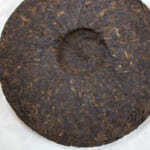 Generally, as compared to other tea categories, the rolling for raw pu-erh tea is very gentle. We sometimes come across the pu-erh tea that is rolled very tightly. No doubt that the flavor of these teas lasts shorter than those that are rolled softly. White undergoes no rolling process. Generally raw pu-erh tea is rolled lightly. In making black tea, the rolling process is very important. When tea leaves are macerated in rolling action, the enzyme and substrate in tealeaf mixes together and initiate enzymatic fermentation. In making black tea, rolling is one of the critical processes which affect the consistency of fermentation. But the process of making green tea involves no fermentation. Then why is it so important to roll green tea so tightly? Umami in tea was discovered by Dr. Sakado in 1950s. 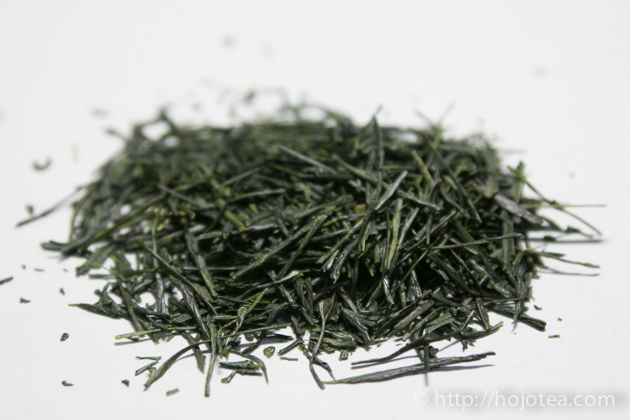 Since then people started to associate umami with the quality of green tea. This idea has been greatly supported since it matched the modern agricultural practice. This idea back-up the modern agricultural practice since the more umami is composed if more fertilizer is used. The idea of umami as a quality index made everyone very happy. It created the demand of fertilizer, and based on the umami index, the quality of tea grown with fertilizer was justified. At the same time, rolling became very important. 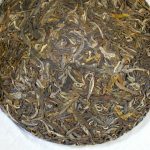 With tighter rolling, the more umami substance will be eluted during tea brewing. However, the more umami means more fertilizer. 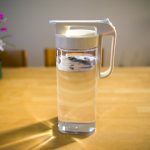 In tea, the extent of umami and the level of aftertaste is at inverse proportion, i.e., more umami tea normally has less aftertaste. In order to accumulate more mineral content, tea tree has to grow slowly under the severe environment. In Chinese, Taiwanese and Indian tea, the aftertaste is rather a more important tea quality index. Generally, I am always looking for the tea grown in natural farming style. Natural farming means no nitrogen fertilizer is used, not even the organic nitrogen fertilizer. 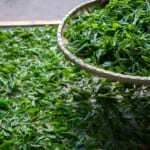 As compared to the tea grown in modern agriculture, the natural farming tea contains less theanine but a lot of poly phenol and minerals. Since the natural farming tea contains less amino acid, there is no reason we have to roll it tight. The main characteristic of natural farming tea is strong aftertaste and floral scent. To enhance this characteristics and makes tea lasting over many brewing, light rolling is definitely a good idea. With light rolling, the energy applied during process is lower. 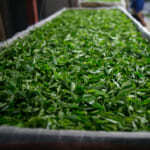 In addition, the surface of tea leaf is less than those that are rolled tighter and macerated more. Thanks to these facts, tea undergoes less oxidation during the process. 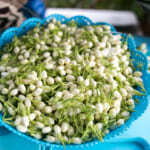 As a result, not only we can brew tea many times, and also the tea becomes floral and very refreshing. Based on these ideas, I am planning to develop new style of Japanese green tea this year. I plan to use very light rolling and enhance the floral flavor. Since last year tea season, I have already started this project. We have conducted several trial runs in Tsukigase. If everything goes well, I should be able to introduce it this year.